The Young Scientist Forum is here again! This year the symposium will be organized in Oulu on 5th of April, 2019, in connection with the annual meeting of the Finnish Catalysis Society. Visit the web page for registration and more information. Nordic Symposium on Catalysis will be organized by the Finnish Catalysis Society in Espoo, Dipoli, Mon-Wed 24-26 August, 2020. The Young Scientist Forum is here again! This year the symposium will be organized in Dipoli, Espoo on 6th of April, 2018, in connection with the annual meeting of the Finnish Catalysis Society. The Young Scientist Forum is here again! This year the symposium will be organized in Nikolainkulma, Jyväskylä on 24th of March, 2017, in connection with the annual meeting of the Finnish Catalysis Society. In the one-day event, doctoral students and companies are invited to present their research in oral talks, and engage in lively discussion. Contributions from all sub-fields of catalysis are very welcome: homogeneous, heterogeneous, enzymatic and polymer catalysis; presentations covering aspects from theoretical chemistry to material science and chemical engineering. After the symposium, the annual meeting of Finnish Catalysis Society will take place. All PhD students, their supervisors, and other researchers in the field of catalysis in Finland are cordially welcome! Vuonna 2017 Suomen Katalyysiseura jakaa matka-apurahoja nuorille tutkijoille, jotka pitävät esityksen 13th European Congress on Catalysis (EUROPACAT 2017) konferenssissa. Vapaamuotoiset hakemukset toimitetaan osoitteeseen anna.valtanen@oulu.fi 14.4.2017 mennessä. Apurahan saajille ilmoitetaan asiasta henkilökohtaisesti. In 2017, the young scientists having a presentation in 13th European Congress on Catalysis (EUROPACAT 2017) conference are invited to apply for travel grants. The applications should be sent to anna.valtanen@oulu.fi by 14th of April, 2017. Recipients of grants will be informed personally. 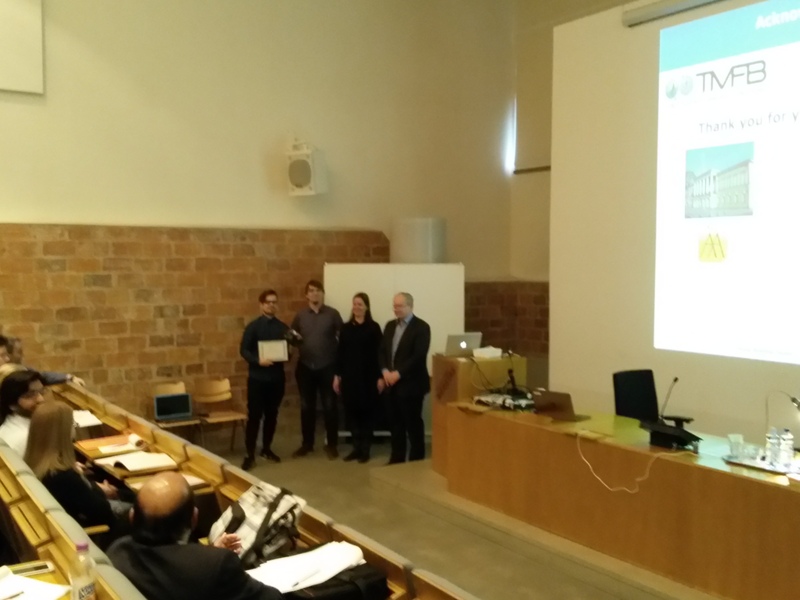 Marko Melander was selected as the award winner of the fourth Doctoral Thesis award of the Finnish Catalysis Society. 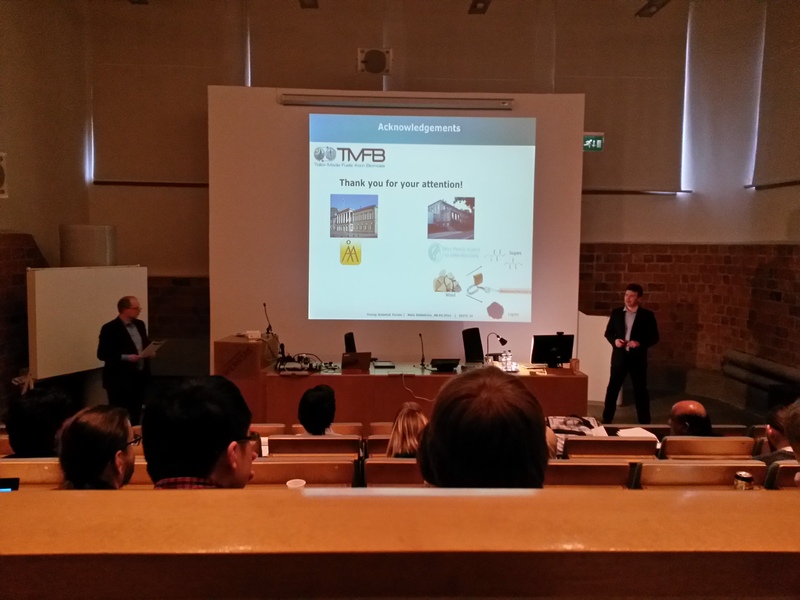 He defended his thesis in Aalto university in August, 2015. His thesis is entitled "Reactivity of Iron Nanostructures from Density Functional Theory". 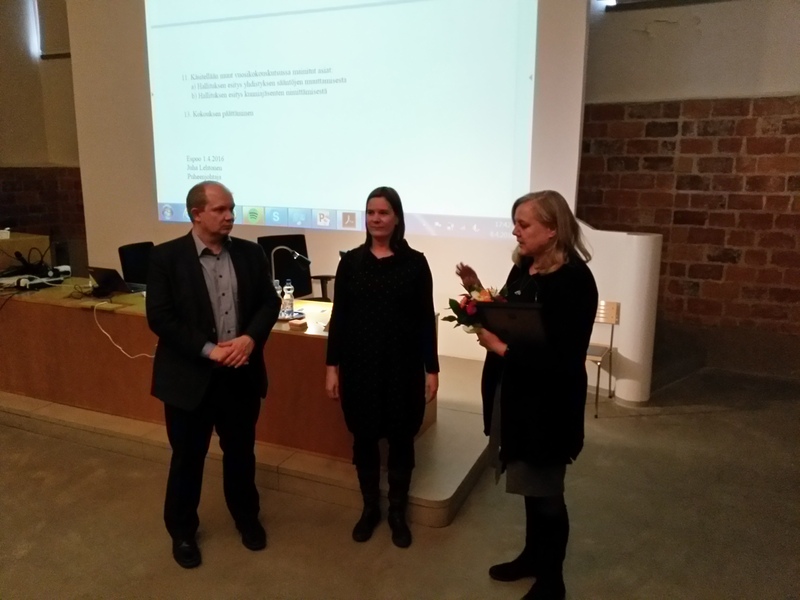 The Catalysis Society warmly congratulates Dr. Marko Melander! 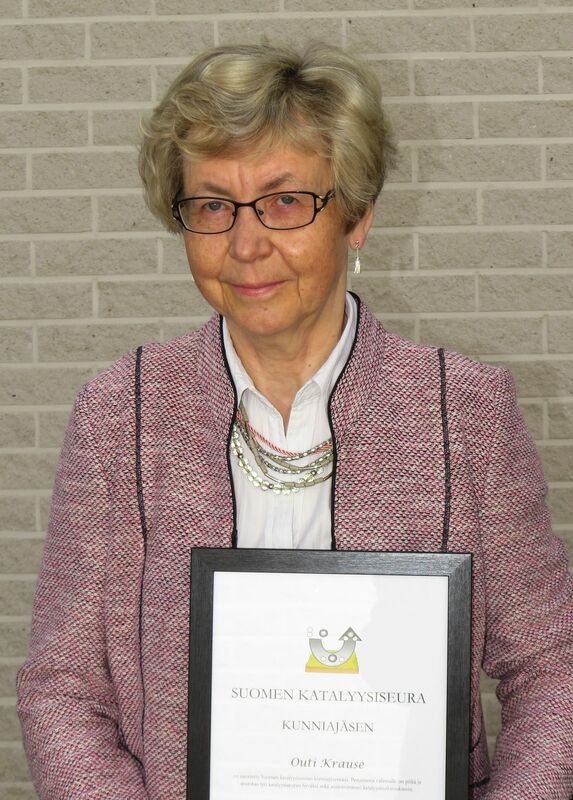 Professor Outi Krause (Aalto university) and Professor Riitta Keiski (University of Oulu) were nominated as first Honorary members of the Finnish Catalysis Society due to their distinguished work in the field of catalysis. Suomen Katalyysiseuran sääntöihin voit tutustua tästä.